Hard surface floors in establishments are not that easy to clean using traditional tools such as mops. Having your staff manually do the cleaning is a waste of time and energy, decreasing productivity and exhausting your employees. That’s why it’s best to use proper cleaning equipment to finish the task faster and more efficiently. An automatic floor scrubber is a type of cleaning equipment that work well on different types of surfaces such as vinyl, stone, and hardwood. It’s actually considered one of the best tools that can remove dirt, grease, and debris through its efficient water replacement process and scrub head agitating action. Using automatic scrubbers doesn’t require too much labor as well, allowing your staff to save time and energy that they can spend on other important tasks. The size of your automatic scrubber should depend on the types of areas it will clean. For instance, you need a scrubber that can work on the cafeteria but can also fit in the bathrooms, hallways, and storage area, among others. Evaluating the areas you will need to clean will help you determine the right size of scrubber for the activities you have in mind. Your floor scrubber should fit different doorway sizes. Before buying, measure the doorways in your establishment to determine the right size of scrubber you need. The size of the scrub head and the squeegee should be looked at to make sure that the machine can fit doorways. If the squeegee is too wide, ask the manufacturer if they offer an optional narrow squeegee kit. Charging the machine is essential as well, so check if your establishment can provide the equipment’s needs. Most automatic floor scrubbers use a 110 volt charging system, but make sure that you don’t overload the circuit when batteries are plugged in. The charging area must be ventilated if the machine you’re buying uses lead acid batteries. In case you don’t have such a charging area, you may want to go for a machine that uses new deep cycle batteries such as gel and absorbed glass mat as these don’t off-gas. They also don’t require maintenance. 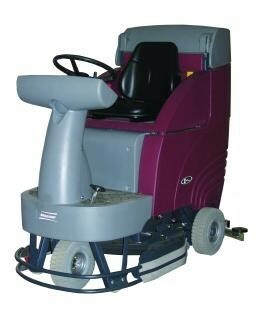 Since there are various commercial floor cleaning machines out there, these factors can guide you in buying a scrubber. These will allow you to buy the equipment that fits the type of establishment you have.